Contestations over knowledge – and who controls its production – are a key focus of social movements and other actors that promote food sovereignty, agroecology and biocultural diversity. 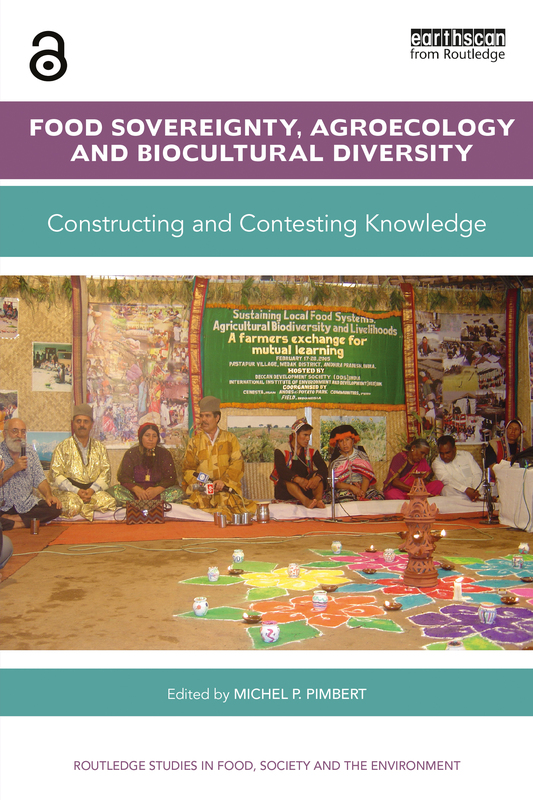 This book critically examines the kinds of knowledge and ways of knowing needed for food sovereignty, agroecology and biocultural diversity. ‘Food sovereignty’ is understood here as a transformative process that seeks to recreate the democratic realm and regenerate a diversity of autonomous food systems based on agroecology, biocultural diversity, equity, social justice and ecological sustainability. It is shown that alternatives to the current model of development require radically different knowledges and epistemologies from those on offer today in mainstream institutions (including universities, policy think tanks and donor organizations). To achieve food sovereignty, agroecology and biocultural diversity, there is a need to re-imagine and construct knowledge for diversity, decentralisation, dynamic adaptation and democracy. The authors critically explore the changes in organizations, research paradigms and professional practice that could help transform and co-create knowledge for a new modernity based on plural definitions of wellbeing. Particular attention is given to institutional, pedagogical and methodological innovations that can enhance cognitive justice by giving hitherto excluded citizens more power and agency in the construction of knowledge. The book thus contributes to the democratization of knowledge and power in the domain of food, environment and society.